Photographs preserve the past, while archaeology unearths what has been preserved. Put together, photography and archaeology bring the past into the present, making its image available for a wide audience. In Photography and Archaeology, Frederick Bohrer examines some of history’s most famous archaeological excavations, as well as lesser-known finds, from the Mediterranean, Middle East, Asia, Europe, and the Americas. Bohrer examines the ways these sites have been represented in photographs and shows how the development of photography in the nineteenth century brought archaeology to the attention of the public. 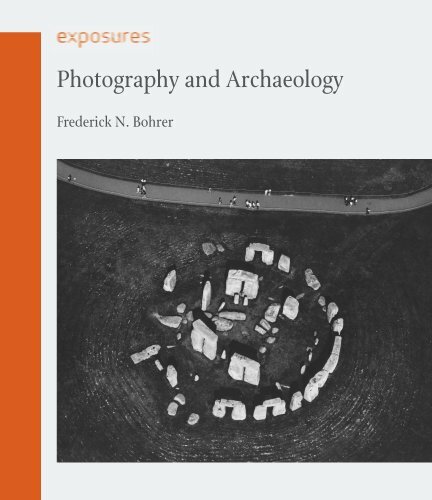 Uniting the histories of both photography and archaeology, Bohrer explains how what we know of the history of archaeology has been related to how it has been photographically represented and circulated in scholarly papers, personal accounts, scientific archives, museum catalogues, and other formats. He discusses archaeological examples and images by photographers including Maxime du Camp, Francis Frith, John Beazley Greene, and Ernst Herzfeld, as well as more contemporary photographers such as Aaron Levin, Roger Wood, and Marilyn Bridges. While photography seems to guarantee documentary objectivity, Bohrer argues that it also fundamentally alters the archaeological object, transforming it into a work of art. Beautifully illustrated with archaeological images, many published here for the first time, Photography and Archaeology will be of interest to anyone captivated by both photography’s and archaeology’s ongoing engagement with the past.